Sharon N. Bogarad, Attorney at Law, represents clients with questions concerning family law, personal injury, Social Security Disability and wills. Located in Weirton, West Virginia, our law firm handles cases for clients in Pennsylvania, Ohio and West Virginia. Our office is located in the Dr. George Rigas House, a home listed on the National Register of Historic Places. 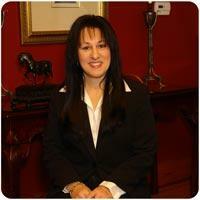 Our attorney, Sharon N. Bogarad, has been practicing law in the area for over 30 years. Sharon understands these are difficult times for you. Whether you have been injured in an accident or are contemplating divorce, you want to be sure your lawyer is looking out for your interests. Sharon and her staff are focused on working with you to help you find the right solutions for your future. At our law firm, we inform our clients about the processes in their case so they are able to make better decisions about how they wish to proceed. We inform you of the various issues that will need to be addressed, and help you gather the necessary information you will need as your case moves forward. Whether you have a family law, personal injury or Social Security Disability question, or you need help drafting a will, we will be there for you. You can trust we will be able to help you find the answers you need.